Hi, I’m Gavin, and as I have worked at Battery Junction over the years I have come across more than a couple of products that I wish I had myself. In this blog post I will go through the top ten products (in no particular order) that have caught my eye. First up on the list is the Maxpedition Thermite Versipack. Being a huge skiing, biking, and hiking fan this handy pack caught my eye pretty quickly. 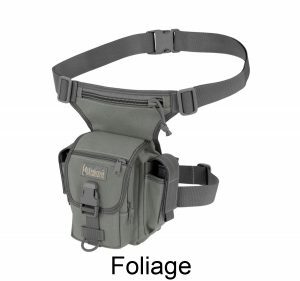 This pack can be attached to the waist and leg, or held sling style over the shoulder. When skiing the waist/leg attachment is great for making sure that the pack stays firmly attached. When biking or hiking this pack can be more casually carried over the shoulder for a more comfortable and less movement restrictive method of carrying. Like most Maxpedition products, this pack is made to withstand some of the toughest conditions out there. With water and abrasion-resistant lightweight ballistic nylon fabric, as well as double stitched stress points I am confident that this pack would stand up to any rigors I might put it through. Next up on the top ten list is the Ultimate Survival Technologies Reusable Handwarmer. This product is perfect for anybody who goes out in the cold for extended periods of time. Living in Connecticut and being a frequent Vermont skier I have used many (probably hundreds) of disposable hand warmers over the years. This product is a great alternative that both helps my wallet and my conscience by being environmentally friendly. It is super easy to reuse the hand warmer, all that is needed is to place the used warmer in a pot of boiling water for about 15-20 minutes, or until the gel turns from orange to clear. This neat device is super affordable and has saved me big money that I would have otherwise been spending on hand and foot warmers. 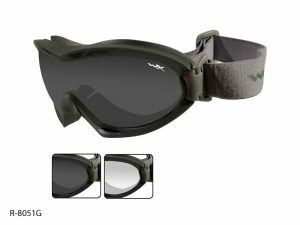 Next up on the top ten list is the Wiley X Nerve Goggles. These goggles are made and tested for military use so it is safe to say that they will stand up to anything I could put them through. The top down ventilation system is a great feature as it keeps that sealed goggle area from becoming too warm. Also, there is an anti fog coating on the goggles that importantly makes sure that the vision field never gets clouded. I have been eyeing these goggles for skiing purposes but they also could easily (and would probably be better) used for off-road biking/ATV track racing. They are a bit pricey at ~$85 but there is no doubt that these goggles will last for a couple of years and have the quality to be worth the price tag. 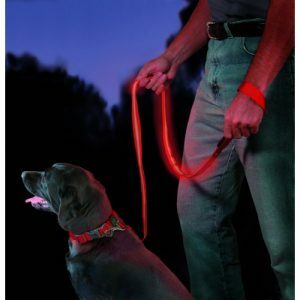 Next up on the list of my top ten products is my favorite pet accessory the NiteIze NiteHowl light up dog collar. I personally use this product on a daily basis with my two dogs at home and love it. The collar is made of a plastic/rubber material that can be cut to fit any dog’s neck in the diameter range of 12″ – 27″. I use this all the time when walking my black lab mix at night because without it I have trouble seeing her any further than 5 feet away. The collar is great for making sure cars see your dog when walking on the roads, or even for when you want to keep an eye on your dog while they go for a nighttime run in the yard. 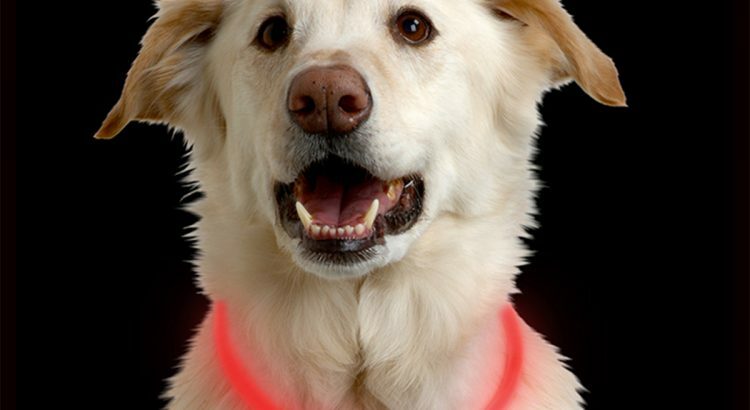 As a dog owner and enthusiast I cannot say enough good things about this light up collar. 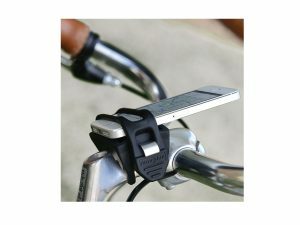 Coming in at 5 (even though order doesn’t matter) is the very useful NiteIze HandleBand Smartphone Bike Attachment. This is just one of a couple of smartphone bike attachments that we have at Battery Junction. However, I prefer this one over the other options because of its universal fit feature. Because it can fit such a range of phone sizes I would have no problem getting a new iPhone, or changing to an Android because the bike attachment will work regardless. This attachment keeps the phone face up which is great for when you are using a GPS feature to get around, or are trying to track your fitness performance in an app. For just ~$15 this is a no-brainer bike/phone attachment. Being an outdoor person I would have to go with a headlamp for my flashlight pick, and the Petzl Tikka R+ Headlamp wins easily. 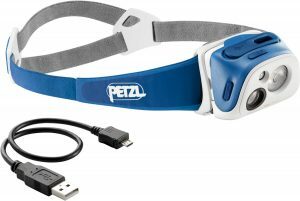 This headlamp is rechargeable (USB compatible) and can have an output of up to 170 Lumens. However, the main draw for me is the Reactive Lighting Technology which allows the headlamp to make hands-free adjustments to the lighting pattern and strength. This feature is great because the main draw of headlamps is that they are mostly hands-free and this headlamp takes that into account by making it truly hands-free. The headlamp can also be connected with an app on your smartphone to allow for customization of lighting preferences. I have yet to come across a headlamp that is smarter or more hands-free than this lamp. The Tenergy Dual Port USB Power Bank is up next on my top ten list. 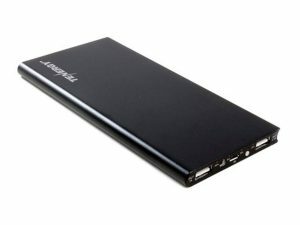 As a college student and full-time smartphone addict I am a big fan of portable power banks. This one from Tenergy is one of the best options on the Battery Junction site because of its compact design mixed with large energy holding capacity. With two outbound ports for charging, this device can charge multiple devices at once and has a 8000mAh capacity for enough charge to go around. The slim design and built-in flashlight make this the best portable charger available at Battery Junction (in my opinion). Next on my wishlist is the Wagan 6L Thermo Electric Fridge/Warmer for car use. This one is on the wishlist because car trips are a pretty common occurrence for me and it would be a great convenience to have a fridge/heater for food and liquids. This unit plugs into any car charger and is compact enough to fit in between the driver and passengers seats for quick access while driving. This food container is the perfect companion for keeping coffee warm for an early morning ski drive, or for keeping beverages cool on the way to the beach over the summer. 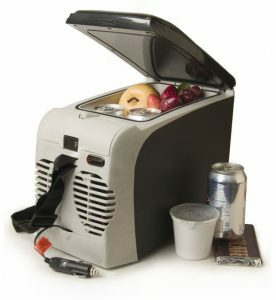 At a competitive price of ~$55 this cooler may be my next purchase. 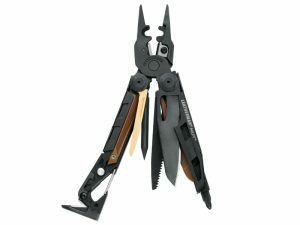 The Leatherman MUT EOD Multi-Tool is an all-encompassing tool that is also in my top ten. This multi-tool from Leatherman is top of the line as far as multi-tools go. The MUT features 15 tools which can fulfill a range of functions. I would likely not need all the tools on any one trip, but my philosophy is that if you’re going to bring a multi-tool you might as well bring a multi-tool that has it all. 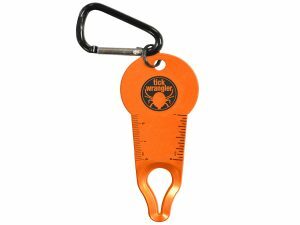 I would bring this tool with me on pretty much any outdoors trip because it has the potential to help out in so many situations. I’m not a big multi-tool person but the wide range of tools and the 25 year warranty make this an easy top ten contender on my wishlist. 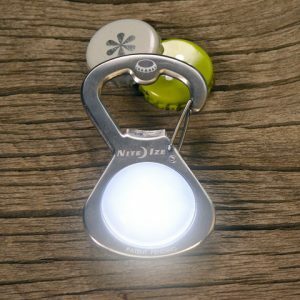 Last and definitely least on my top ten wishlist is the NiteIze GetLit S-Biner Flashlight/Bottle-opener. As a college student of drinking age I always have my eyes out for cool and interesting bottle openers. This one may be neither but the price, light, and goofy name are enough to make me wish I had it. This may feel like a cop-out for the tenth spot but I honestly couldn’t choose because there are so many good products on Battery Junction. 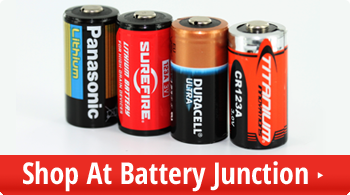 If you liked any of the products in my top ten or are interested in coming across some of the products that just missed out, then come by Battery Junction and check out our selection of products! 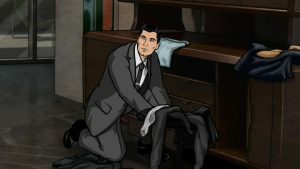 Call me late to the party, but I first heard of Bug Out Bags a couple of years ago on the TV show Archer. (Sterling Archer’s bag is “full of fake passports and mustaches … And two hundred grand in cash!”) Archer is probably definitely not the greatest role model, but I could definitely see the appeal of having a pre-packed contingency plan. So I did a little Googling for information about Bug Out Bags. Dog Accessories – 5 Products your Pup will Love! Dog Accessories you can count on. Your dog is part of the family – so treat them like one! Outfit your pup by giving them one of these fun dog accessories. It is important to keep your pup happy and safe this summer season. 1. Don’t let them get lost. When it’s the middle of summer and everyone is outside, many pets like to run off, most of all now when fireworks are being set off left and right. 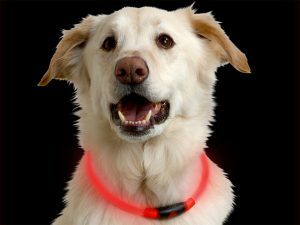 Check out the NiteIze NiteHowl LED Safety Necklace. As far as dog accessories go, visibility is key. Featuring a normal and strobe mode, easily spot your pet in the dark! For smaller pups, clip on a light-up dog tag right to the collar! Many of us are lucky to have full time jobs and are not available during the day. 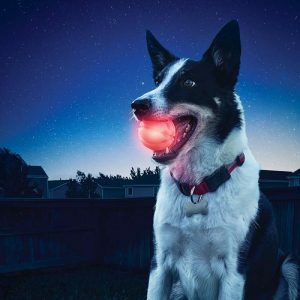 With the DogDiscuit light up LED flying Frisbee, you can play with your pooch even after the sun goes down. Fido doesn’t like Frisbees? The NiteIze LED Ball works just as well and shines bright with multiple colors! In this nice weather, your pup is bound to explore in the woods or in fields. Even with special ointments and collars, ticks always find a way onto dog’s fur. Pull them off without hurting your dog with the Tick Wrangler by UST. Plus, if you’re anything like me and hate ticks, this is perfect since you don’t have to touch them with your hands! 4. Take them on a nice walk. Nature calls and your yard does not have an electric fence. Consequently, you’re going to need to walk your pup! This is one of the best dog accessories if it is dark outside. Stay safe from cars and be noticed with your Nite Dawg LED leash. You might know the rules of the road, but your dog doesn’t. Keep them safe from cars by using a light up leash. Have the cutest dog on the block with one of these fun dog tags! Easily clipped onto your dog’s collar as an added safety measure, the benefits of this go far beyond a normal dog tag. 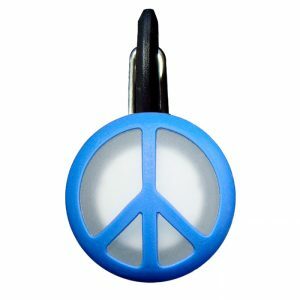 Not only do the NiteIze ClipLit tags come in fun and unique shapes, but they also light up in a multitude of colors making your dog easily identifiable to yourself and others. 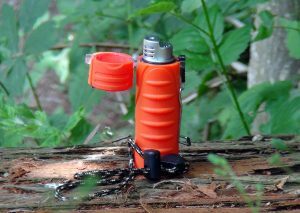 in the rain, it features a lanyard attachment if your hands are full, and it is small enough to fit inside your pocket! Plus, as an added extra, it has a strobe mode to scare away raccoons and other animals that might bother you! Summer is here! Burgers are grilling, hotdogs are roasting, the potato salad is getting hot, and you’re thinking about how great your cookout is going thanks to Battery Junction! In this short blogpost we will go over some cookout essentials that can make your summer BBQ one to remember. 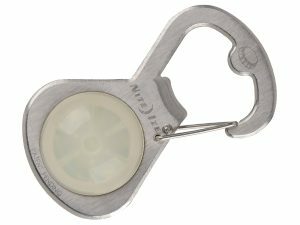 Yes, GetLit is the best bottle opener/S-Biner/light source for your summer picnic purposes. 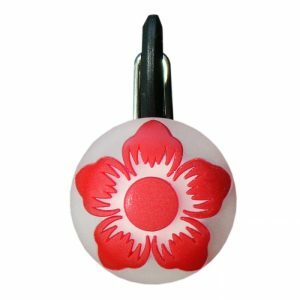 This gear is a perfect keychain companion for opening bottles and finding your way around once the sun starts to set. Simply use the S-Biner clip to attach the GetLit anywhere you need continuous glow or flashing light for up to 20 or 25 hours respectively! Silly name aside, this weatherproof keychain is a sturdy and useful tool to have with you at your next cookout. 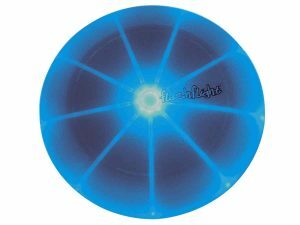 The Niteize Flashflight LED Frisbee is a light-up disc that is perfect for your next evening cookout. 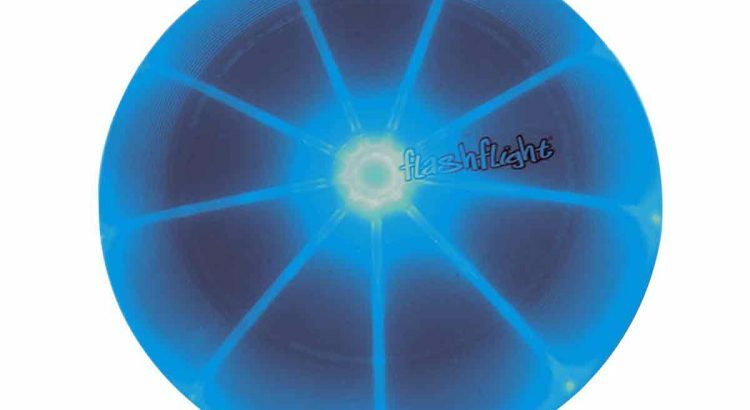 The Flashflight features a fiber optic array which lights up the entire disc making it easily spotted. The disc is made to ultimate frisbee regulations, meaning it is also great for use during the day even when you won’t need the light. 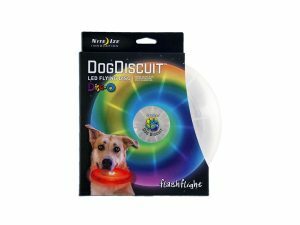 This light up disc is perfect for playing with the dog, and comes with a replaceable battery that provides up to 20 hours of light. The UST KLIPP utensil set is a must have for any summer cookout. 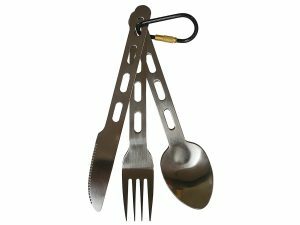 The KLIPP set has a fork, knife, and spoon made of durable and lightweight stainless steel. All the utensils are kept together with a handy carabiner which allows the KLIPP set to be attached to any belt loop, backpack, or gear that you can think of. This utensil set is an absolute essential if you are looking for an environmentally friendly alternative to plastic utensils at your next cookout. The UST Water Cube is another essential for planning the best cookout. This water holder is a collapsing cube made from strong polyethylene plastic. 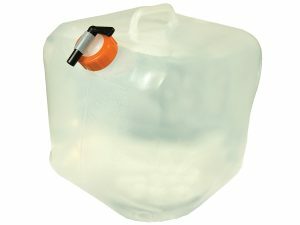 It includes an on/off spigot as well as an opening large enough to cool the water with ice cubes. The Water Cube is especially useful because when it is not filled the container can be collapsed to a smaller and lighter version. With a strong handle and dent/crack resistant plastic, this water cube is a necessity for a good cookout. This Fenix rechargeable camping lantern is an unassuming lantern that packs a punch. Known as “The Little Penguin”, this lantern will give you 2.25 hours on the 350 lumen turbo mode or up to 600 hours on low mode. The Little Penguin can be recharged via USB, includes 6 output modes, lights up an area up to 25 meters in diameter, and has a hanging loop and magnetic base allowing for optimal placement. Small enough to easily bring anywhere but strong enough to light up almost any area, this light is a perfect cookout companion. These are just a few of many cookout essentials that are sure to make your summer better than you imagined, all thanks to Battery Junction! Going into the woods for a camping weekend without the correct gear can have disastrous results. Thankfully that is where UST (Ultimate Survival Technologies) products come in. 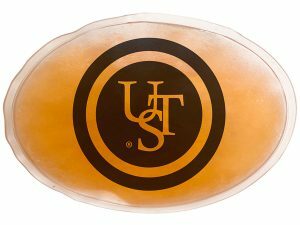 UST provides quality, inexpensive survival products for everyone from beginners to experienced survivalists. First up is the UST Lensatic Compass, probably the most basic and commonly used survival tool. It’s perfect for finding your bearings after you’ve lost them. 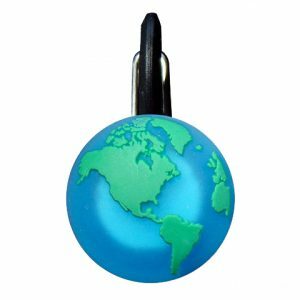 This tough, pint-sized compass features a compact design, adjustable lens, shock resistant casing, and even includes glow in the dark directional letters for compass use at night. 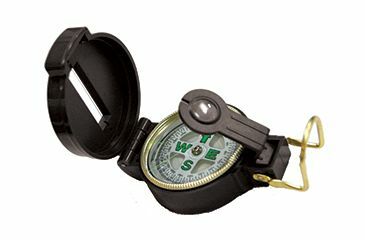 If you don’t already own a compass this is a dependable choice and an absolute must-have instrument for nature excursions. 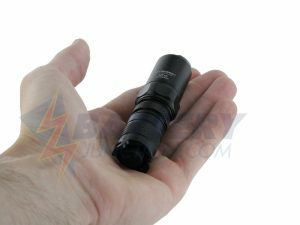 Next on the list of survival must-haves is the UST Trekker Stormproof Lighter, which is built to provide fire even in the most testing conditions. The Trekker contains an extra-large fuel tank that will provide over 1,000 ignitions on a single fill, and a catalyzer coil which provides flames that can withstand winds of up to 70-80 miles per hour. 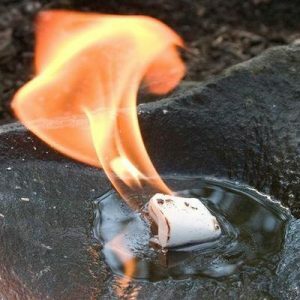 If you find yourself in wet conditions where wood will not light, then you will be happy that you brought along the UST WetFire Firestarting Tinder. This handy tinder will help you get a fire going in wet weather, and will even burn longer when the material is wet or moist. The tinder packs come wrapped individually and only require a small amount of shaving to start the fire, which can be a lifesaver when you’re stuck in cold wet weather without the proper gear. Next up is the UST SaberCut Para Knife which is a great cutting tool to have with you for your next camping trip. 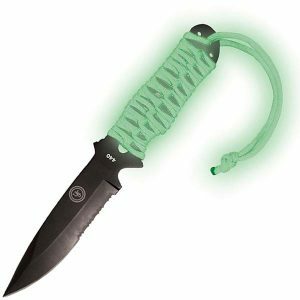 The SaberCut has a partially serrated blade which is useful for stabbing and cutting, and includes a handle wrapped in 5 feet of glow-in-the-dark paracord which can be unwound for a number of uses. With a titanium coated 440C steel blade and an included nylon sheath, this is the perfect companion knife for your survival needs. Surviving nature is difficult enough during the day, but when night comes around you will want to have some long-lasting quality light sources with you. Luckily UST has you covered. The UST 30-Day LED Lantern just what you need for long-lasting light. This lantern features a high mode of 700 lumens for 30 hours or a low/dim mode that will last up to 30 days off of three D cell batteries! 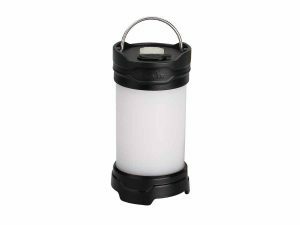 This lantern is durable with impact resistance up to 1 meter and an IPX4 water resistance rating which allows lighting in conditions that are normally hazardous for other lights. These are just a few of the great survival items by UST that we offer. Come over to Battery Junction and gear up for your next nature expedition!